Kitman TV - Politically Incorrect Documentaries Online: Melanie Philips - The World Turned Upside Down: "Q&A Brilliant and thoughtful speech in which Melanie Philips tries to answer the one question which I suspect is an underlying reason fo..."
Screenings of tolerance-related, feature motion pictures begin Sunday afternoon, 14 November. For his films encouraging tolerance, justice, and human rights, the Festival will present the first, annual MOTIFF Award to director Clint Eastwood on Sunday evening 14 November. The Festival concludes Thursday evening 18 Nov with the screening of "Iron Cross" starring Roy Scheider. Israeli Prime Minister Benjamin Netanyahu addressed an audience of North American Jewish Federations, convening in New Orleans, declaring that Israel's peace-preparedness is being undermined by the world's tolerating of Palestinian intransigence. PM Netanyahu perceives that the Palestinian Authority is balking at direct negotiations in the confidence that the Obama Administration will dictate concession-pressures against Israel that the Palestinians would not achieve on their own. Mr. Netanyahu reaffirms that he is willing to make mutual compromises with the Palestinian Authority, but the Palestinian refusal to negotiate directly without preconditions belies their true reticence to living peaceably alongside Jewish Israel. PA official told WND the Obama administration instead has adopted the Palestinian position that the Jordan Valley should become part of a future Palestinian state entirely. The official said the U.S. had proposed that international troops, along with Jordanian and Palestinian forces, would patrol the area. The Jordan Valley encompasses a massive swath of territory. Israeli security analysts and commentators long have argued the country is indefensible without the valley. Prime Minister Ariel Sharon stated multiple times the Jordan Valley is so vital to Israel's security that Israel must control it in the future. Netanyahu himself said at a Knesset faction meeting last February that Israel could never agree to withdraw from the Jordan Valley under any peace agreement signed with the Palestinians. Netanyahu told the Israel's Foreign Affairs and Defense Committee that the Jordan Valley's strategic importance along the eastern border of the West Bank made it impossible for Israel to withdraw. The Jordan Valley runs from Lake Tiberias in the north to northern Dead Sea in the south. It continues another 96 miles south of the Dead Sea to Aqaba along the Jordanian border. The Jordan Valley forms the border between Israel and Jordan in the north, and the eastern strip of the strategic West Bank in the south. Ruth R. Wisse is a professor of Yiddish and comparative literature at Harvard University and the author of, among many other books, Jews and Power (Schocken/Nextbook). The present article is based on a talk delivered in August at the Conference of the Yale Interdisciplinary Initiative for the Study of Anti-Semitism. ... Yet here is the paradox: the fiercer anti-Semitism grows, the more it forces a choice on liberals. The choice is between protecting the Jews and protecting the orthodox liberal belief in rational compromise, world peace, “getting to yes,” and all the rest. Protecting the Jews requires confronting hostility that is not subject to rational persuasion, does not obey the liberal version of the rule of law, does not abide by liberal ideas of fairness, and does not extend peace and goodwill to others. To side with Israel, therefore, leaves one exposed to the same hostility that assails the Jews—an uncomfortable position for individuals and governments alike. The dictates of self-interest persuade some to ignore aggression that presumably doesn’t concern them, and then to justify their callousness by holding Jews responsible for the aggression against them. Some Jews try to demonstrate their own innocence by dissociating themselves from those of their fellow Jews who are under attack. The politics of anti-Semitism strikes again: blaming the Jews succeeds by persuading liberals that it is aimed only at the “culpable” Jews. By casting these Jews as aggressors, it invites liberals to join the attack on them, on behalf of the Jews’ alleged victims. It congratulates liberals for joining the anti-liberal side by persuading them that they stand with the weak against the strong . . . 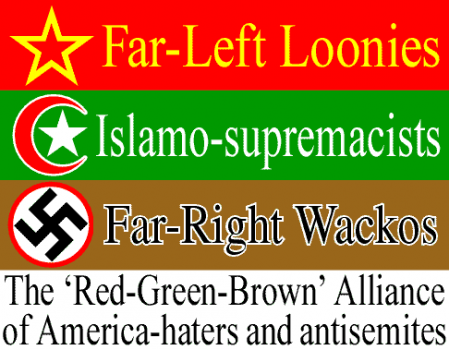 I have tried to show (a) that anti-Semitism cannot be arrested by any remedial action of the Jews; (b) that there are harmful consequences for pretending that concessions from Jews can stop the aggression against them; and (c) that anti-Semitism forces a choice between protection of the Jews and, under the guise of liberalism, complicity with their enemies. And though anti-Semitism is often compared to cancer, there is no comparable effort to finding a cure. The reason seems plain: where the carriers of an illness are also its casualties, they and their well-wishers have incentives to tackle the problem. But the carriers of anti-Semitism do not experience themselves as its apparent victims. At-risk Jews cannot halt the malignancy, because they are not itscarriers. And its carriers, the anti-Semites, will not seek a cure, because they don’t recognize its harm to them. Not until enlightened Arabs recognize that they, not the Jews, are its ultimate casualties will this political threat be contained. What then? Some might argue that, even granting my thesis of a Zionist misdiagnosis, the scourge of anti-Semitism is so protean and so venerable that it can never be entirely expunged. They may have a point about the “entirely,” but I beg to differ about the realities of the present situation. A longstanding political attack has repeatedly called forth a defensive reaction of negotiation, accommodation, and no small amount of self-blame. This response has been shown to fail, and will go on failing with ever mountingconsequences. To say that anti-Semitism persists and succeeds does not mean that anti-Semitism is politically invulnerable. Tactics in fighting anti-Semitism may and should vary. But what is required strategically, from Jews as from all decent human beings, is no more than what justice and truth and genuine liberalism demand: namely, to reject vigorously the role of defendant at the bar of world opinion and to instigate political, diplomatic, moral, and intellectual countersuits on every front. Read full story . . .
with retired Palestinian farmer Said Ali Banat Hajarah. Yep, you read right. I’ve had to admit it. I can’t live a lie any longer. Ashamed of being Jewish? No way. I’m very proud to be Jewish and a member of the Jewish people. Ashamed of Israel? Wrong again. I’m proud of Israel’s achievements. I worry about its policies, sometimes; I’m concerned, sometimes about some of its actions and those of some of its citizens, but I could say the same for Britain and I’m still proud to be British. So why am I ashamed? I’ll tell you. I’m ashamed of Jews who say they are ashamed to be Jews or Jewish. I don’t hear Palestinians coming out to declare they are ashamed to be Palestinian and denounce suicide bombs or missiles. I don’t hear Arabs writing they are ashamed to be Arabs because of Al Qaeda or Sudan or Yemen. I don’t hear Muslims forming groups of shame because of what Sunni does to Shia, or 9/11, or 7/7, or Madrid, or Mumbai. I don’t know of any Ashamed Catholic groups forming because of the paedophilia apparently rife in Catholic clergy. In fact I know of no other group of people who so often announce their ashamedness to be who they are as Jews do. And you know what? It makes me ashamed. I’m an ashamed Jew who is ashamed of ashamed Jews. If that’s a paradox, so be it. And I’m not ashamed to declare my shame. I don’t see why Arabs or Muslims or Palestinians or Brits or Americans or Chinese or anyone else should be ashamed of what they are because of the actions of a few. If I’m ashamed to be a Jew because I don’t like what Israel does that is a form of self-hating, it’s bigotry – by golly, its anti-Semitic. 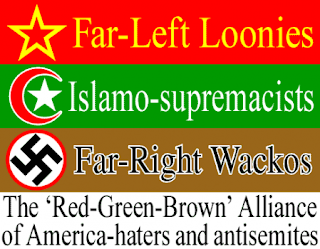 If I hate all of a group because of the actions of some, then I am a bigot. And if I am the target of my own bigotry then I’m a pretty sick bigot. On the Andrew Marr program this morning on BBC 1, the eponymous Scottish interviewer had the (Jewish) actress Miriam Margolyes in the studio, reporting on a recent visit to Israel and the West Bank. We see her approaching a young Palestinian woman and asking through an interpreter whether she can see where she lives. The woman, carrying a young child, takes her to a canvas tent. Miriam is shocked and says ‘no-one should have to live like this’. I absolutely agree with her. No-one in the West Bank should be living in a tent. So why are they? Miriam believes it’s because of the terrible Israelis who make her an ‘ashamed Jew’. Neither she nor Marr question why this woman lives like this? No-one asks why after 62 years a young woman whose grandparents left or were driven out of what is now Israel should be a refugee and have refugee status uniquely different from all other refugee groups in history. 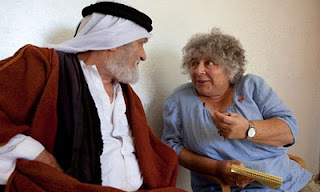 Neither Margolyes or Marr wanted to mention or even wanted to entertain the idea that refugee camps, so-called, exist for one reason and one reason only: to deliberately perpetuate the victimhood of Palestinians and to preserve the idea, which Margolyes and other ashamed Jews have swallowed whole, that it is Israel who is responsible for these conditions. Margolyes appears unaware that hundreds of thousands of Palestinians live comfortably on the West Bank in normal housing. She seems unaware that despite the billions of dollars poured into the Palestinian economy, people are still allowed to live in tents and camps. There is no need for it. Pakistanis are not living in tents three generations after their forbears fled India. There are no refugee camps in Israel for the hundreds of thousands who were forced from their homes after 1948 from Egypt and Iraq and Syria and North Africa. ‘The only authority I have is as a human being’, Margolyes replies. So far, so good. Then she says that it should not make a difference being Jewish or not Jewish to be able to comment on the situation but then says, somewhat in contradiction that she is ‘embarrassed and ashamed’ (that word again) because ‘my “lot” is doing “it” to them’. She then says ‘that’s why I wanted to go there, to see for myself’. Fine. But it appears she had already made up her mind that ‘her lot’ where doing ‘it’ to ‘them’. Marr asks for her reaction and she then puts on a faux Arab accent and says that some said ‘why do you come? You are a Jew. We hate you.’ And then in her own voice ‘And I totally understood why’. Yet, she doesn’t understand why at all. She doesn’t understand that this hatred predates the Jewish state. She doesn’t understand the daily diet of anti-Semitism that is fed to Palestinians in schools, newspapers and on TV. Marr then asks a question which links the Holocaust to what he clearly believes is a given Israeli/Jewish paranoia. He asks that, given Margolyes and her generation know what it’s like growing up in the shadow of the Holocaust, does she not realise that Israelis feel hemmed in and beleaguered by Iran, suicide bombs and missiles. She admits her sympathy. She knows what anti-Semitism is. But ‘treating people the way the Israelis are treating the Palestinians is not making things better’. In other words, the blame for the situation is all on the Israeli side. Arghhh! I’m so ashamed. What the hell has the Holocaust got to do with the situation? Is she suggesting that Israel exists because of Holocaust guilt? Is she suggesting that the Palestinians are paying for the crimes of Europeans? If so, she is ignorant of her own people’s history. ‘They (Muslims) were not the enemy at that time’, she says. But THEY WERE! The Mufti of Jerusalem was a friend of Hitler and organised Muslim Nazi brigades in Yugoslavia. He assured Hitler that he would solve the Jewish Question in Palestine. Hamas and the PLO are the ideological progeny of the Muslim Brotherhood and its anti-Semitic policies. Margolyes and other ashamed Jews need to educate themselves. I am sick of being ashamed of them. What is she saying now? Oh yes, the Israelis should understand and accept that they owe reparation to the Palestinians just like the Jews expect it from the Germans. So she, perhaps unwittingly, makes a moral equivalence between the way Jews were treated in the Holocaust and the way Palestinians, who have been hell-bent on another Holocaust for 100 years and certainly 60, have been treated by the Israelis. Who attacked Israel in 1967? Why was the PLO formed in 1964 before there was any ‘Occupation’? The Israelis are behaving ”so cruelly’. Yes, sometimes all those with power over others behave cruelly. Maybe she should understand why Israelis might do so to Palestinians who want to kill them, and blow up their children on buses and in their beds. Why can she only see one side to this conflict? Even Marr has to remind her about suicide attacks and rockets. And then we get the real answer to Margolyes ashamedness. She is not a two-state solutionist. How ignorant is this. They just want to go back to their villages. But their villages are Haifa and Jerusalem and Tel Aviv and Eilat and Beersheva. Margolyes is clearly advocating the end of the Jewish state as a deluded one-stater who believes the Palestinians, who she admits hate the Jews, just want to go back peacefully to their homes. How often do we see people in the media like Miriam Margolyes, Jews and non-Jews, well-meaning, decent people who just do not understand. They live in their cosy left-wing bubbles dreaming of world peace where all will be luvvies. Sorry Miriam. You are a very nice woman and a wonderful actress, but you are a deluded Jew. Go read some history. Go read the PLO charter and the Hamas charter. Don’t pose as a woman of peace when you clearly want a second Holocaust – because if you don’t, then you need to wake up out of your deluded lefty dreams, you and all the ashamed Jews. Until you do so, I will continue to be an ashamed-of, ashamed-Jews Jew. Radio talk-host Rev. Jesse Lee Peterson delivers a fascinating, loving endorsement for inner-city, civic-conditions reformer, orthodox Rabbi Nachum Shifren, for Calif's 26th Senate District from Los Angeles over Curren Price, the black liberal incumbent. Rev. Peterson urges voting for character, not color.